I live in Appleton, WI. I am a wife and mom to three children, two boys, ages 15 and 13, and one daughter age 9. I am fortunate enough to have visited Disney World, and we have cruised once on the Dream and are scheduled to cruise on the Magic in January 2018. My first visit to Disney World was as a child, and I was able to visit with my family for the first time when my two oldest were 5 and 3. We have been back many times since. I enjoy planning our family vacations, and I am always thinking about the next trip. 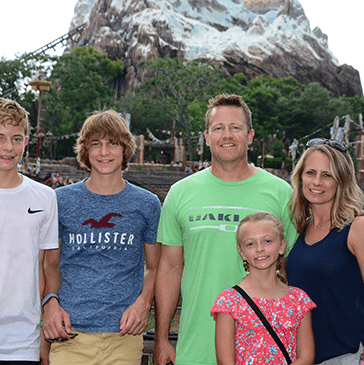 I know planning a vacation can be a bit overwhelming or stressful for anyone, and I can’t wait to use my Disney experiences, knowledge and resources to help others plan the perfect trip that fits their family.